Back to school time means it’s back to school lunches. Fortunately, taking your lunch to school doesn’t have to be boring. 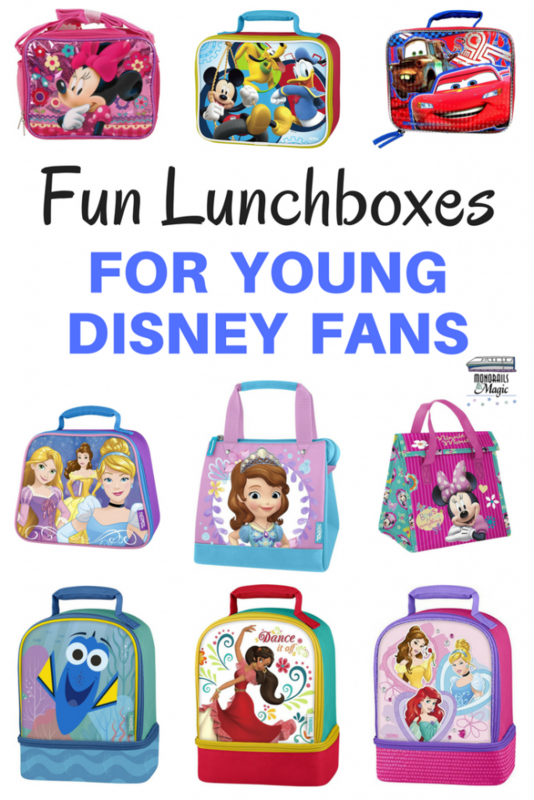 There are tons of fun lunchboxes for young Disney fans to help make back to school more special. There are so many different types of lunchboxes nowadays. But there are a few styles that are pretty standard. 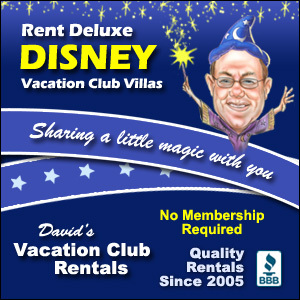 And there are lots of options for young Disney fans! 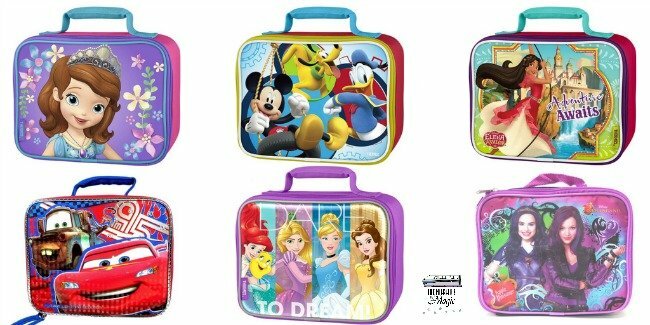 These Sofia the First and Elena of Avalor lunchboxes are perfect for young kids who watch Disney Junior. 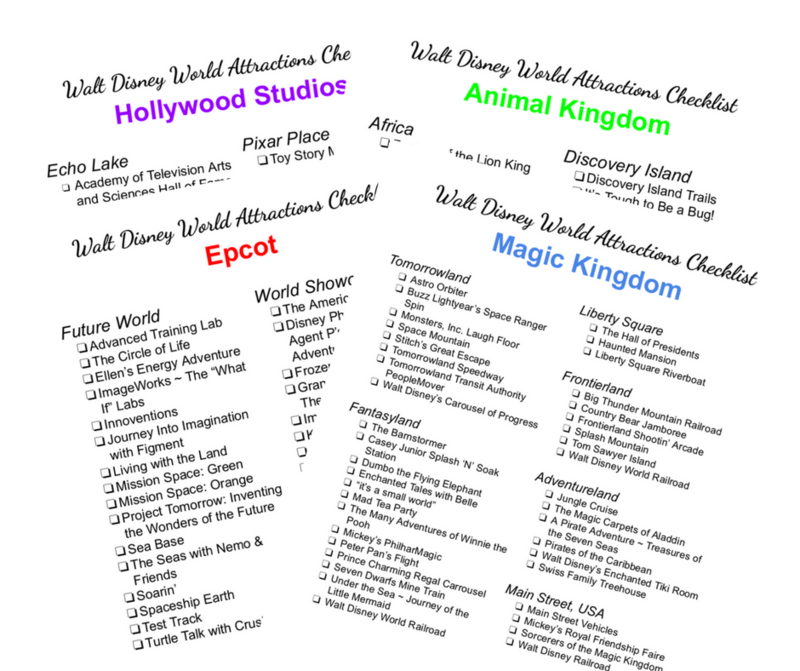 A Mickey Mouse and Friends lunchbox would be great for any Disney fan. Fans of the Cars movies need this lunchbox. What little girl wouldn’t love a Disney Princesses lunchbox? 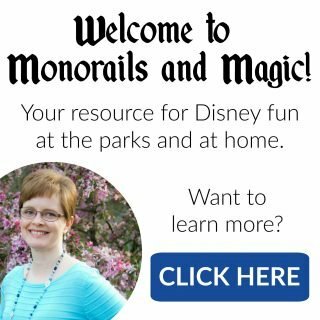 Disney Descendants is all the rage with tweens right now! A Finding Dory lunchbox would be so cute to take to school. Fans of Elena of Avalor would love a lunchbox with this new Disney princess on it. This pink and purple lunchbox is perfect for Disney Princesses fans. Cars fans would love a lunchbox featuring Lightening McQueen. I love all of the characters on this Finding Dory lunchbox. Frozen is still sooooo popular! This Minnie Mouse lunchbox is so cute and perfect for a young Disney fan. Anna and Elsa look so cute on this Frozen lunchbox. Minnie Mouse shows off her bows on this adorable lunchbox. Sofia the First fans will love this adorable lunchbox. This unique Disney Princesses lunchbox will be all the rage with Disney princess fans. 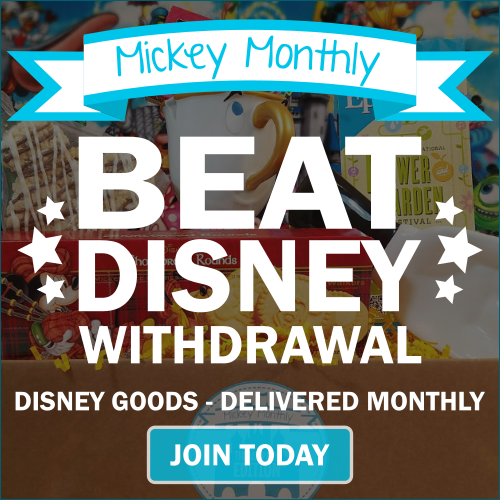 Does your young Disney fan have a special lunchbox for back to school? Let us know in the comments! So cute! I saw the Disney Store has some cute Disney Emoji lunchboxes, too! Hey, I think I’d love one of these lunchboxes for myself! I know, right? Lunchboxes weren’t this cute when we were little.